Posted on August 21st, 2017 . Description: House is at the end of the cul-de-sac. All 4 bedrooms are on the first floor. This is on 2 lots. Great workshop room. Huge wood 3 story tree house. Fenced garden, water well, complete hog wire fence all the way around for dogs and horses. Has access to community pond. Great oak trees. Sub zero fridge with new compressor and ice maker. Description: Exquisite J Neathery custom in exclusive gated community of Old Mill Lake. This 4 bedroom, 3.5 bath home boasts beautiful custom finishes and architecturally interesting details. Open & elegant w/dual staircases, custom paint colors, beautiful crown molding & built-ins, professional appliances in kitchen, carpet, tile, oak wood floors & wine room w/300 bottle capacity. Outdoor amenities include hot tub, lakeside pergola, greenhouse, water well and some of the most impressive views of the lake. Description: Exceptional Property in gated community! 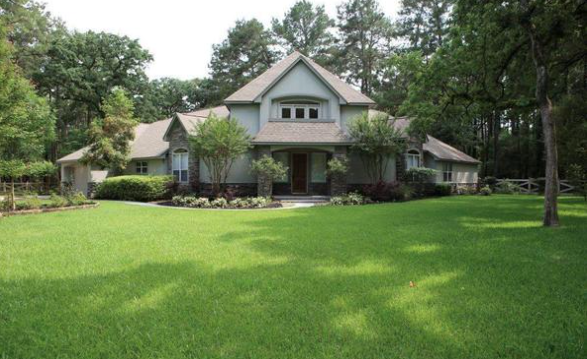 Lakefront French Country inspired home on cul-de-sac with sprawling lush gardens & landscape with lighting & home uplights. 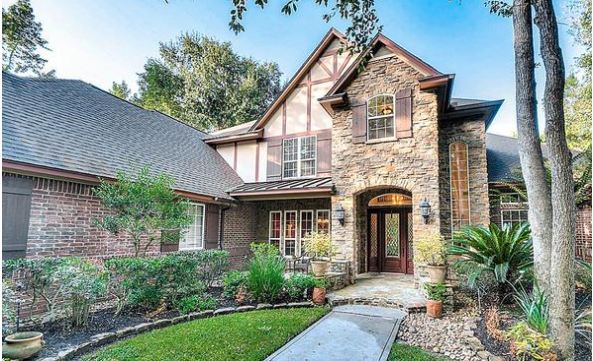 Beautiful wood & mill work, recessed/beamed ceiling, hardwood floors & travertine. Chef’s kitchen with Brick-Arched wall, Cambria Quartz counters, high end appliances & island. 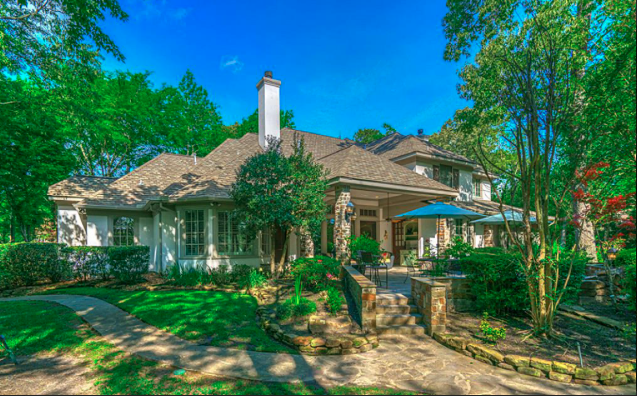 Master sanctuary with garden & water views. Screened porch with built-in grill. Multi-camera security system. Relax on the water paddle boating or kayaking.